The Silver Lake school committee gathered on Thursday, April 11, prior to their regular meeting for a hearing on school choice. Without an annual hearing and vote, Silver Lake would automatically become a school choice district. Vice chair Eric Crone spoke in favor of school choice. Originally Crone had been interested in school choice as a means of helping one specific student who was in danger of not finishing their senior year at Silver Lake due to a change in address. Crone, however, also spoke about what he sees as potential financial benefits for the district. Schools are provided $5,000 for each student admitted under school choice with an incremental cost added to that tuition for special needs students. Crone’s suggestion was to keep that tuition out of the operating budget and use it toward specific projects. Crone reasoned that the lower enrollment in the high school grades would mean that additional students could be added through school choice without having to hire new teachers or buy new supplies. School choice students are expected to provide their own transportation. Other members of the committee were more hesitant. Of concern was that school choice does not preclude students who were disciplinary problems in other districts from transferring to Silver Lake. Schools are allowed to choose the number of spaces available for school choice but are not allowed to select specific pupils. If there are more students than spots, a lottery is held. Chair Jason Fraser felt it may disincentivize people from moving into the communities if they know their children can attend Silver Lake regardless of the town in which they reside. Fraser also expressed concern that since school choice students are not included in Chapter 70 funds, money would be taken away from Plympton, Halifax, and Kingston students in order to subsidize students from outside the district. Crone countered that since Silver Lake is not at maximum capacity, placing a student at a previously empty desk with a textbook already owned by the school comes at no additional cost. Another concern was the stipend allotted for special needs students. If that stipend doesn’t end up covering the full cost for the additional services, etc. that student may need, Silver Lake would be responsible for footing the bill. After adjourning the hearing, the regional school committee meeting began with Superintendent Joy Blackwood introducing the Food Service Director Megan Ahrenholz. Ahrenholz, who has been with Silver Lake since the beginning of the school year, gave a presentation to the committee about changes to the department both in terms of menu and money saved. In general, the menu changes have focused on more homemade recipes and have aimed to reduce additives by using less processed foods. School leadership and members of the committee were treated to a sample breakfast consisting of banana, yogurt, and granola. The dish, which received rave reviews, counts as a complete breakfast. Since implementing a breakfast program at the middle school Ahrenholz said, “teachers have reported seeing improvements in students’ engagement in class and outlook on school in general.” The breakfast program has been averaging 25-30 students and has brought in more than $500 in revenue in three weeks with no increase in labor costs. The hope is to have a breakfast program at the high school by January of 2020. Silver Lake Regional Principal Michaela Gill shared with the committee the accomplishments of some of her students. 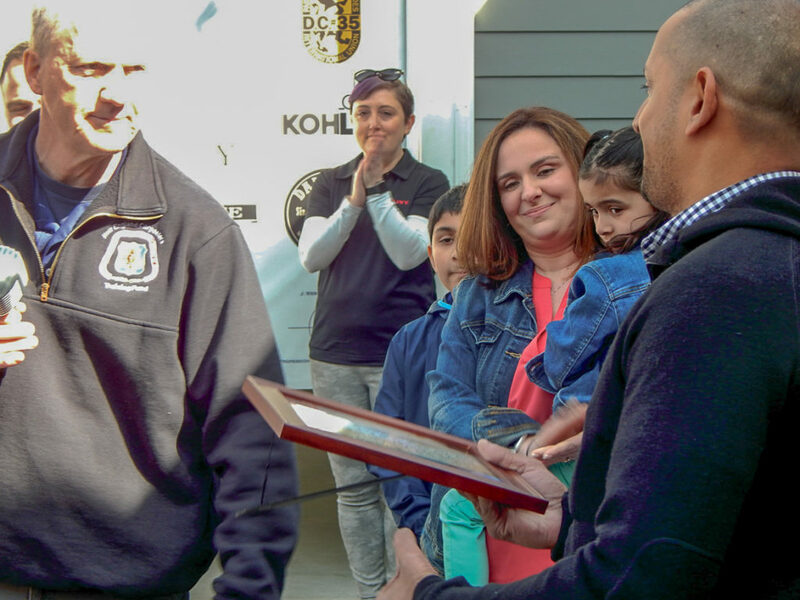 Student Sophia Ricci was honored as a local hero by the South Shore Community Action Council, Inc. (SSCAC) at its 25th Annual Local Heroes Awards Night and Auction. Ricci has been organizing food drives for the past two years in order to fight hunger throughout the South Shore. Junior Chris Tilton was awarded the prestigious Frank Kelley Athlete Adversity Award. Tilton overcame health challenges to finish 6th overall in the 600 meters at the MIAA Division 3 Championships. Gill also asked the committee to approve an out of state field trip to the Connecticut Science Center to view Real Bodies: The Exhibit. The committee approved the request unanimously. Silver Lake Regional Middle School Principal James Dupille spoke with fervor about the success of the school’s trip to New York City in late March. Highlights of the trip included sightseeing at the Statue of Liberty and the Top of the Rock, a tour of Ellis Island, a backstage tour of Broadway, and a stop at the 9/11 Memorial. Dupille commended the students for their behavior and thanked the committee and superintendent for their support of the trip. Dupille says that he hopes to continue the trip in the future but would like to change it to the fall in order to make the most of the bonds that are established on the trip. Dupille also told the committee about the penny wars that the middle school has engaged in in order to raise money that will be used to support vulnerable students in Kenya. Penny wars are a form of fundraising where students bring spare change to school for a set period of time, ending in an award for the class that raises the most. Another discussion continued from previous meetings was the committee’s unanimous decision to support a one-year moratorium on marijuana retail shops in Kingston as well as to not support the reduction in distance between schools and places where children congregate. Blackwood put together a letter to the planning board chair in Kingston and Fraser read the letter at the Kingston Selectmen’s Meeting. Crone addressed the committee regarding the need to replace the scoreboard at the athletic fields. The current scoreboard is from 1992 and it has become nearly impossible to find and replace parts when broken. The hope would be to replace the scoreboard with an electronic one, the cost of which is about $140,000. A company such as Daktronics would lease the scoreboard to the school and would go out and secure five-year contracts with local business for digital advertising to cover the cost of the board. The hope would be that the advertising contracts would pull in more money than the lease payments for the board, potentially paying for projects such as making the concessions stand ADA compliant or transitioning the field from grass to turf. The board could even be used for events outside of athletics, allowing for a live feed of students getting ready for graduation that parents sitting in their seats could watch. Attending the meeting was Silver Lake English teacher and drama and soccer coach Ashley Ferrara. Ferrara praised her theatre students for their work as well as the prestigious awards they’ve received this year and invited the committee to attend a performance of Almost, Maine, the theatre department’s show to be performed after vacation. Ferrara said there would be an actor and crew question and answer session following the show. 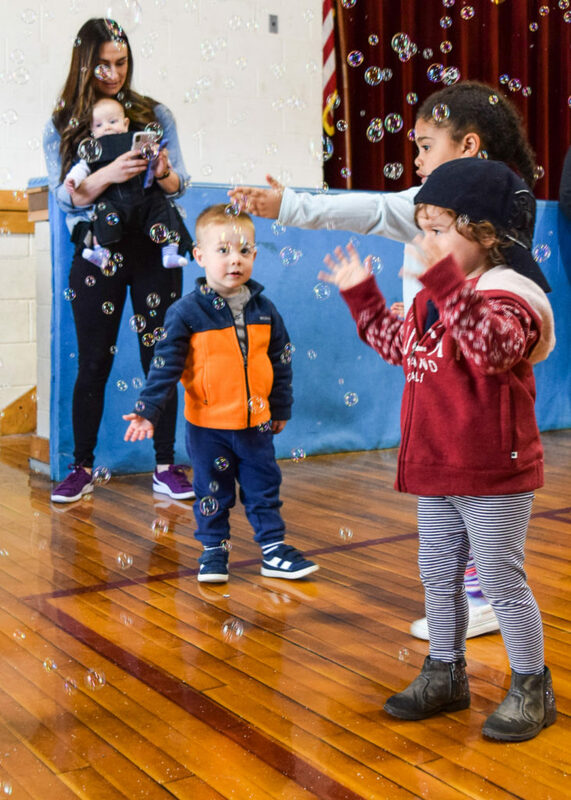 Bubbles, bubbles everywhere at the Halifax Youth And Recreation Department 22nd Annual Holiday Eggstravaganzaa. 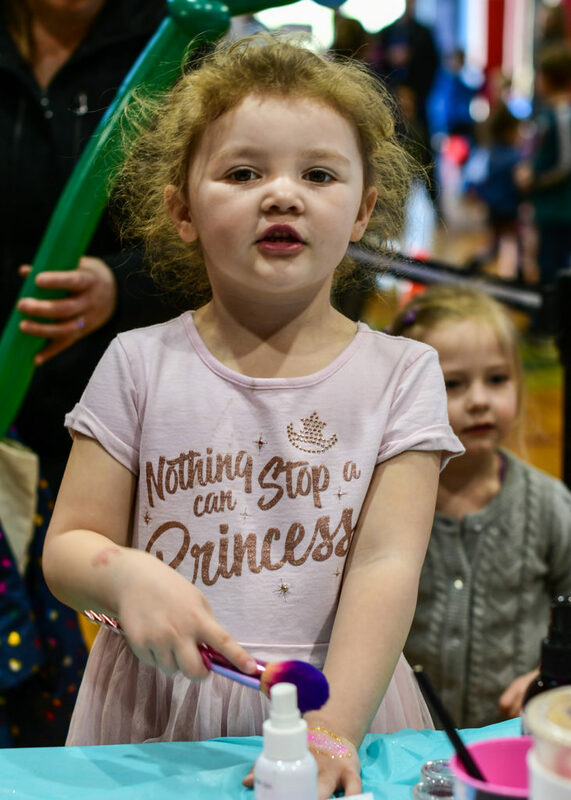 Kenzie Deegan, 3, of Halifax put the finishing touches on her glitter tattoo. 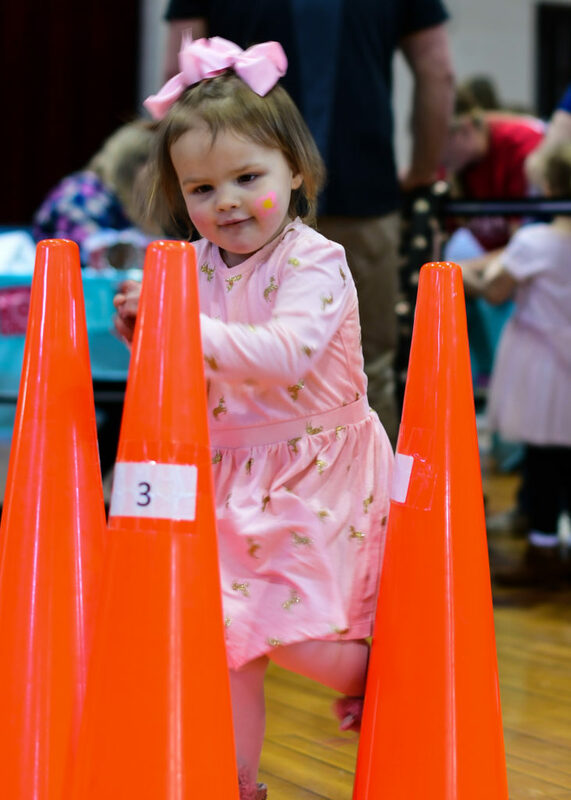 lison Vivela, 2, of Kingston made up her own game despite having to wait line. 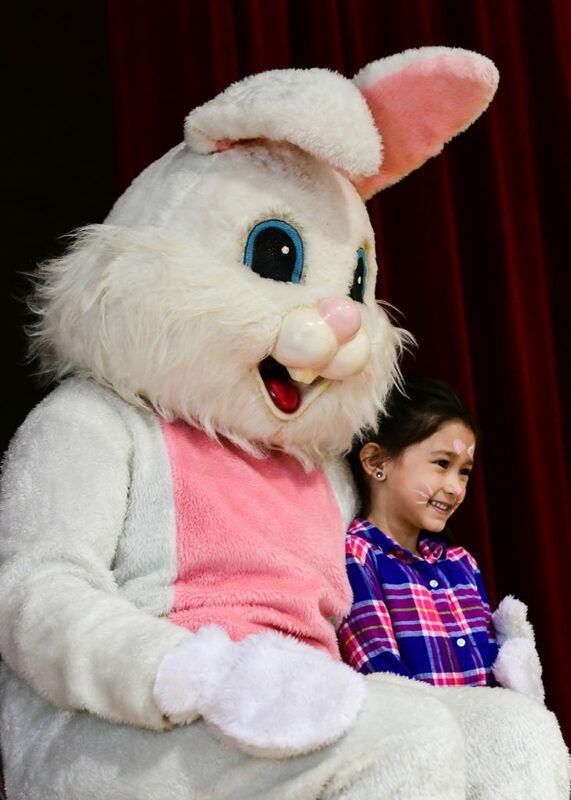 Lilah Tang, 5, of East Bridgewater sat for a photo with the Easter Bunny. 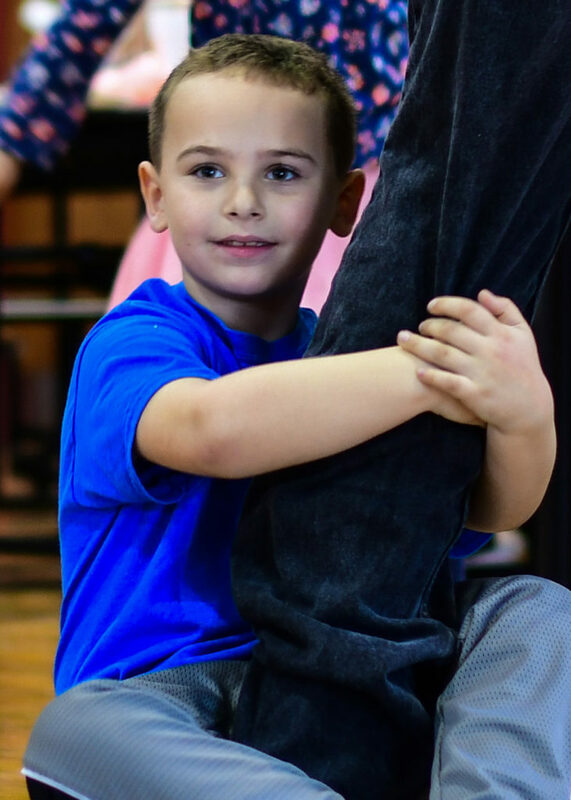 Jayden Ruge, 5, of Halifax danced with his uncle waiting in line for the balloon animals. 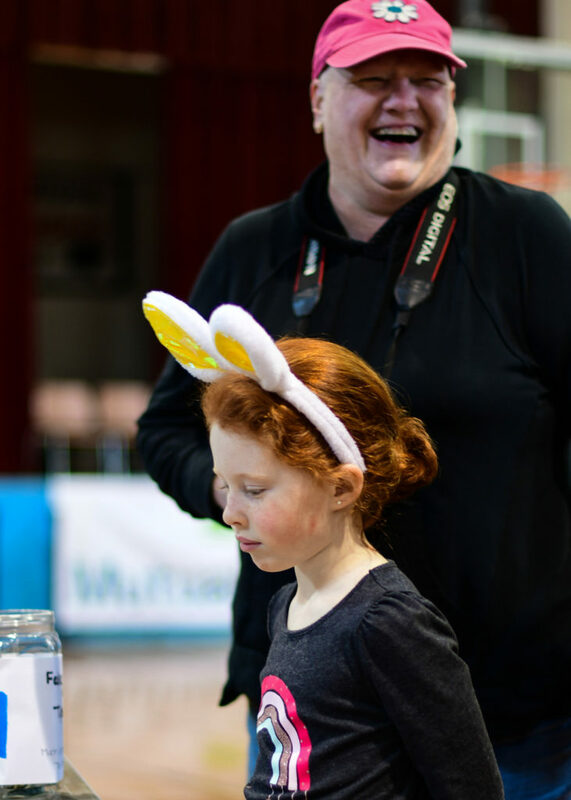 Alexis Springhetti, 5 ½ of Halifax wore bunny ears as she shared a day of fun with her grandma Lisa Crowner. 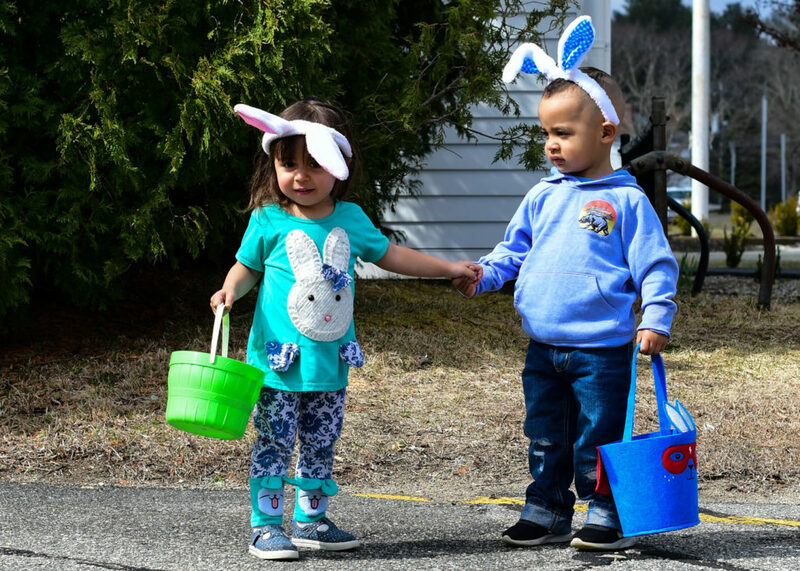 Kylie Cordero, 2, of Halifax held hands with Cameron Harding, 2, of Bridgewater as they carried their buckets in to the Halifax Halifax Youth And Recreation Department 22nd Annual Holiday Eggstravaganzaa . 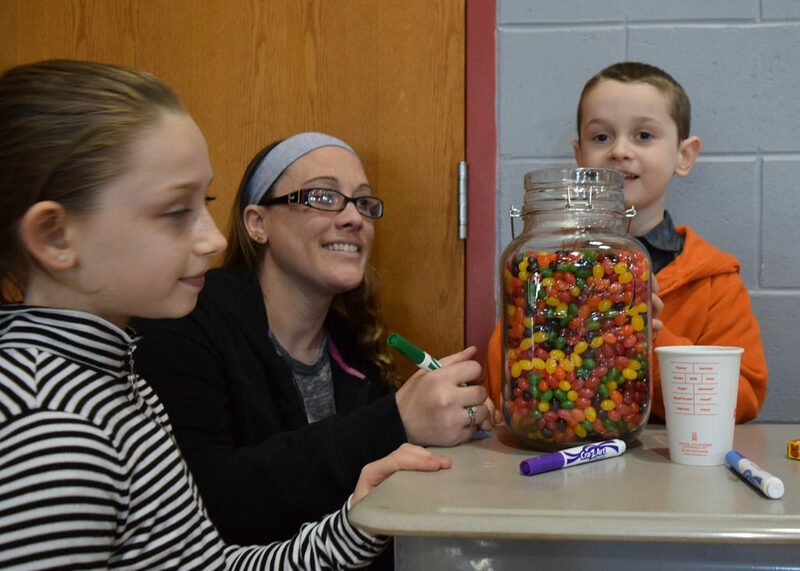 Jiadah Jacobs, 11, helped her mom Meghan and brother Jonah Jacobs, 5, make a guess on the jelly bean jar.
. Hannah Thomas, 4, of Halifax center popped bubbles as the dance music played. 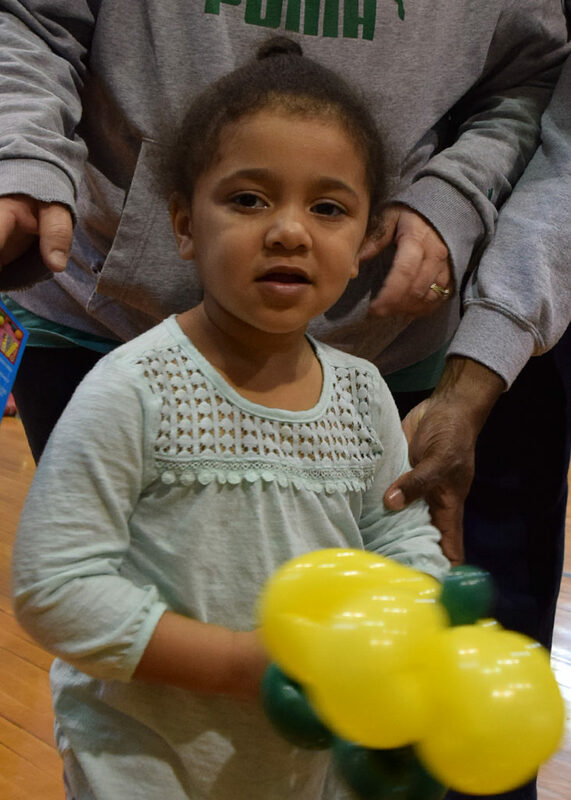 Sadie Thomas, 2, of Halifax stopped to show off her flower balloon before heading to the face painting station. With experience on their side, the Silver Lake High boys’ lacrosse team has continued rolling over the competition this season. After going 14-4 last year, the Lakers success has showed no signs of subsiding. As of the start of this week, they were 3-1 on the season, once again showing they might just be a playoff caliber team. The Lakers return a trio of their top players from last season: Patriot League All-Stars Sean Daly, Mike Masterpolo and Matt Dole. Offensively, Daly led the way last season with a team-high 101 points (55 goals, 46 assists). In net, Masterpolo, a junior, played well his sophomore year and provides the team with experience there once again. Meanwhile, Dole is a major asset for the team on faceoffs. Offensively, the team is loaded with experienced talent. Daly and Dole provide the team with plenty of it in the midfield while Jake LaFerrera is also a returning player. On the attack, the starting line is identical as it was last year. This includes Brendan Dean, who scored 30 goals last season as well as Greg Wolff and Dhurva Nugent, the latter two of whom are juniors this season. Wolff scored 42 times last season while Nugent did on 38 occasions and dished out 32 assists. Defensively, the team does not have as much experience, but has largely been fine so far this season. Sophomore Kyle Neal is that unit’s only returning starter this season. He will be joined by senior David Marani and junior Peyton Amiraule to provide support for Masterpolo in net. The Lakers enjoyed a great deal of success last week. First, they beat Pembroke 20-9 on Tuesday, Apr. 9 and two days later, they beat Boston Latin 16-6. The Lakers next game is on Tuesday, Apr. 23 on the road against Hanover (4:00 p.m.). 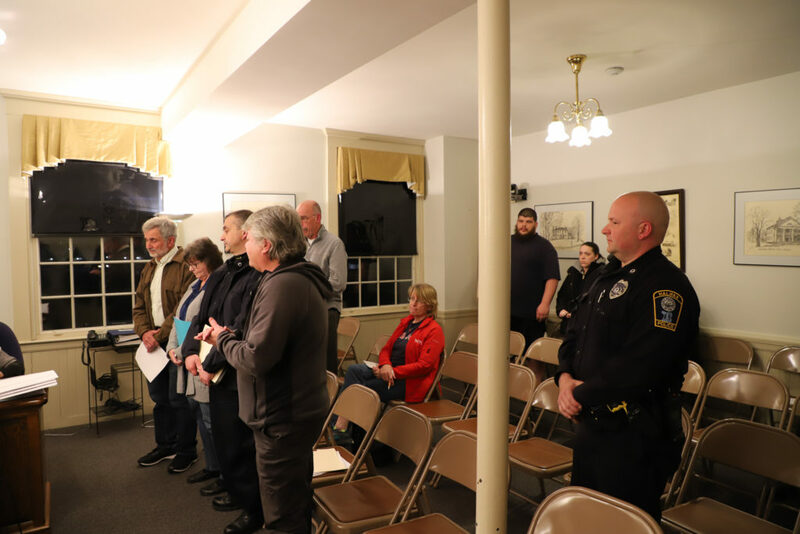 HALIFAX —Selectmen ordered “Rufus,” an American Bulldog owned by Thomas Wilson of Holmes Street, to be euthanized after hearing evidence in a dog-on-dog attack concluding a dog hearing during their regularly scheduled meeting Tuesday, April 9. The more than hour-long hearing, with three police officers present, appeared to exhaust the many witnesses and selectmen present. The hearing was clearly upsetting to Rufus’ owner, Thomas Wilson, a tall man who spoke in a booming voice, and his girlfriend, who was present for the hearing. The dog-on-dog attack occurred Saturday, March 16. Joseph Botelho, of Doris Road, was walking his dog, a Rat Terrier named “Penny,” near the intersection of Annawon Drive and Holmes Street, in front of Lindy’s General Store in the early evening. Officer Rob McDonnell happened to be in a cruiser at Lindy’s that night, and said he witnessed a dog, identified as Wilson’s, escape from a fenced-in area and attack Botelho’s dog, “swinging her like a rag doll,” that occurred just as Botelho walked by McDonnell’s cruiser. McDonnell immediately came to their assistance, he said. Wilson said that Rufus escaped from his house when his girlfriend went out for a cigarette. “[Rufus] grabbed my poor dog and shook her like a rag doll,” said Botelho, echoing the officer’s testimony to the board. Pictures of Penny’s injuries, which caused the Selectmen visible distress, showed what appeared to be serious injuries to her hind quarter. Penny, who is doing much better, said Botelho, needed more than $4,600 in veterinary treatment. Rufus was not properly inoculated which caused additional expenses. After the attack, Wilson was issued a citation by Animal Control Officer Noreen Callahan for having a vicious and unlicensed dog, second violation, for $110, and the dog was home quarantined. “I’m a dog lover, and I’m sorry this happened,” said Wilson, but his various explanations and eventual pleading with the board would not sway them. The board keyed in on the fact that this was not Rufus’ first attack on another dog. In 2017, Rufus attacked a different neighbor’s dog, which resulted in a dog hearing that Wilson did not attend. While Wilson insisted repeatedly on debating whether or not his dog was “aggressive” or just “dog-aggressive,” as he put it, this ultimately did not matter to the board. He said that he had fixed his defective gate, but this was disputed by Callahan. He then said he had a wooden pallet to block the gate for more security, but no one present had ever witnessed the pallet. He begged the board for a chance to enroll Rufus in dog training, but they would not budge. Selectman Chairman Kim Roy said that Rufus “mauled” Penny several times. She added that if Wilson could not come up with the $10 to license his dog, she did not think that he would ultimately enroll the dog in training classes. Garron, an animal lover who said he had been around dogs his whole life and used to train police dogs when he was a police officer, said that dogs reflect the personalities of their owners. “If you can’t handle a dog that’s aggressive, you should not have that dog – it’s not fair to the dog,” he stated. “I’ve had the dog eight years and only two incidents occurred,” exclaimed Wilson. “It was a mauling!” replied Roy. At one point, Officer McDonnell hushed Wilson, who replied, “She’s the one you should tell not to start,” referring to Roy. Selectman Tom Millias, who in the past usually observes dog hearings quietly and then offers his thoughts toward the end, was no different this time. When Roy asked him if he had anything to add, he said, “I don’t think I have much more to offer,” but later engaged with Wilson. “It appears you don’t have control over the dog at all times, and that’s a problem for me,” he said. “Let me prove to you … give me an opportunity!” Wilson begged the Selectman, but to no avail. “You had two years to do that,” said Millias. Roy asked Callahan for her recommendation, and it appeared that she was trying to give Wilson a chance to prove himself, but he interrupted her repeatedly and she acquiesced to the board. Roy then entertained a motion to euthanize Rufus, and the board voted unanimously to order the dog put down. In conversations with board members after the vote, all expressed difficulty coming to the decision, and none took the matter lightly. “Dog hearings are my least favorite part of this job,” said Millias. “I hate having to put down an animal,” said Roy, but noted it was the job of the Selectmen to protect the citizens (and dogs) of Halifax. • Representative Kathy LaNatra visited the Selectmen. She was originally scheduled last meeting to attend with State Senator Michael Brady, and the Board reiterated issues that they had presented to him to address to her as well, including the ongoing issue of cars passing stopped school busses loading and unloading children. • Marge Smith was appointed to the Council on Aging. • Noreen Callahan was reappointed Animal Control Officer. • The next scheduled meeting of the Halifax Board of Selectmen is Tuesday, April 23, in the Selectman’s meeting room of Town Hall. The time is still to be announced. The personnel is largely different, but the goals remain the same for the Silver Lake High School varsity baseball team. The Lakers lost 12 seniors to graduation following last spring when the team went 13-7 and made yet another MIAA Division 1 South tournament appearance. Now, it will be up to many younger players and varsity newcomers to lead the team this season. The Lakers will be propelled by their starting rotation that does feature three returning varsity players: Nolan Hughes, Alex Heffernan and Michael Quigley. Each of them pitched well for the Lakers last season. Quigley threw a no-hitter in his first career varsity start last season, Hughes was a Patriot League All-Star and Heffernan is a four-year varsity player. 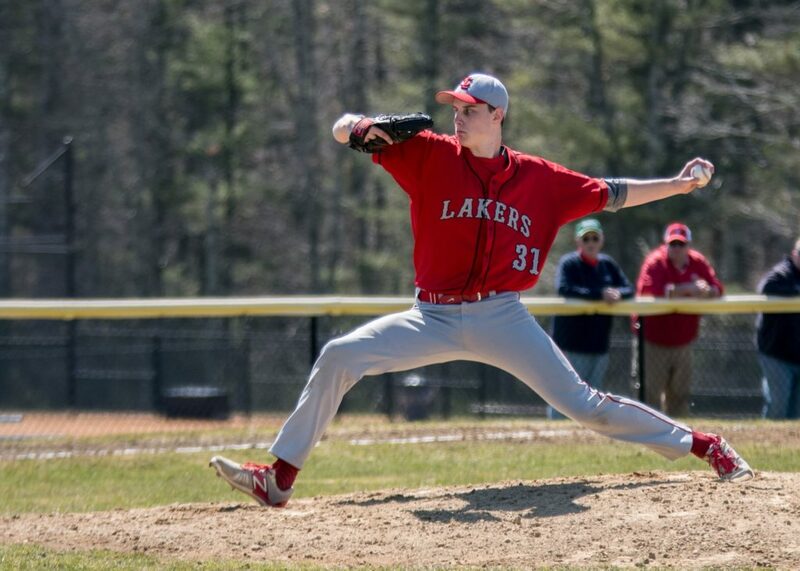 The challenges for the Lakers will include finding pitching depth and filling out their starting nine as they hope to contend for another Patriot League title; with Duxbury, Hanover and Plymouth South returning strong teams, it will be a challenge, as usual. Cole Whidden and Jake Holmes should log some innings for the Lakers and the same could be said for Harrison Milbert, a freshman and first-year varsity player. Hughes and Heffernan will both likely see time at first base when they are not pitching while Bobby Ohlson and Matt Bettle provide the outfield with some varsity experience. Will Cauchon’s bat will return to the lineup, seeing time at third base and as a designated hitter and Connor Burgess takes over behind the plate as the team’s starting catcher. As of the start of this week, the Lakers were 0-2 on the season. They dropped their opening game against Xaverian 11-1 on Thursday, Apr. 4 and two days later, Barnstable beat them 5-0. Apr. 16 on the road against Plymouth North (2:00 p.m. start time). HALIFAX — The Halifax Board of Selectmen met Tuesday, March 26, taking on a lengthy regular agenda and two executive sessions while also entertaining several appointments. The board heard a presentation on stormwater management mandates imposed by the federal government, news that MassDOT’s RMV division will no longer take reports by school bus operators of license plate numbers of drivers who were passing stopped school buses and had a visit from State Senator Michael Brady. 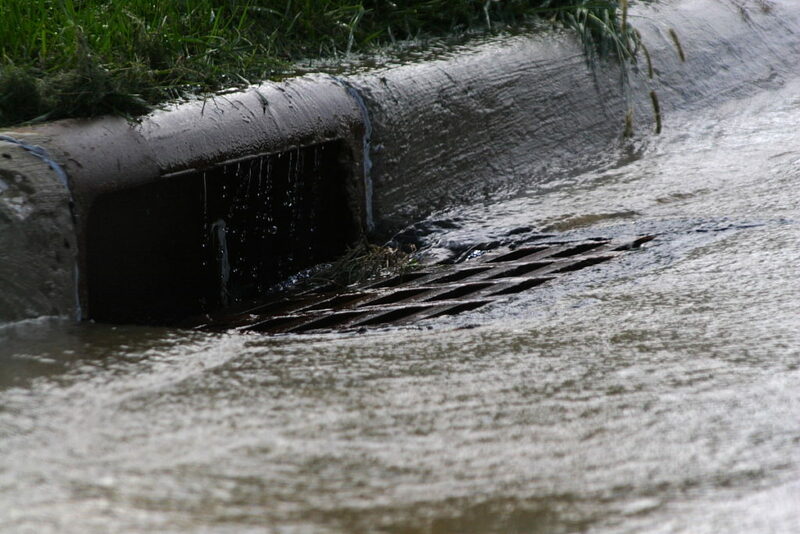 Halifax holds a stormwater management permit from the federal government, as required by the federal Environmental Protection Agency. In EPA parlance they are known as municipal separate storm sewer systems (or MS4). The permit now requires the town to make significant changes to its procedures and bylaws, according to Annie Bastoni, a senior water resources consultant with Watertown-based VHB, Inc., a civil engineering firm hired to help the town comply with the new requirements. Bastoni made a presentation via telephone to the board. Stormwater, she said, comes from snow melt and rain runoff, which picks up pollutants such as pet waste, leaves, motor oil, fertilizers, detergents and trash as it runs to waterbodies. The permit for the town’s stormwater management system, which was renewed July 1, 2018, contains new regulations not present in previous permits. Bastoni explained what the new mandates from the EPA will mean for the town. She noted that the rules and regulations will only affect the “urbanized” portions of Halifax, where most new development is occurring, and not the whole town. She said the town could decide to apply the regulations across the entire town. The town must follow six steps – or minimum control measures – and implement three bylaws at town meeting. The requirements at each step have varying degrees of complexity. Steps one and two require the town to educate and reach out to townspeople to try to change behaviors related to stormwater runoff. Steps three, four, and five are the bylaws that must be approved. They regulate illicit discharge, construction site runoff control and post-construction site runoff control. The final step, six, requires the town to prevent and reduce pollution for town facilities. 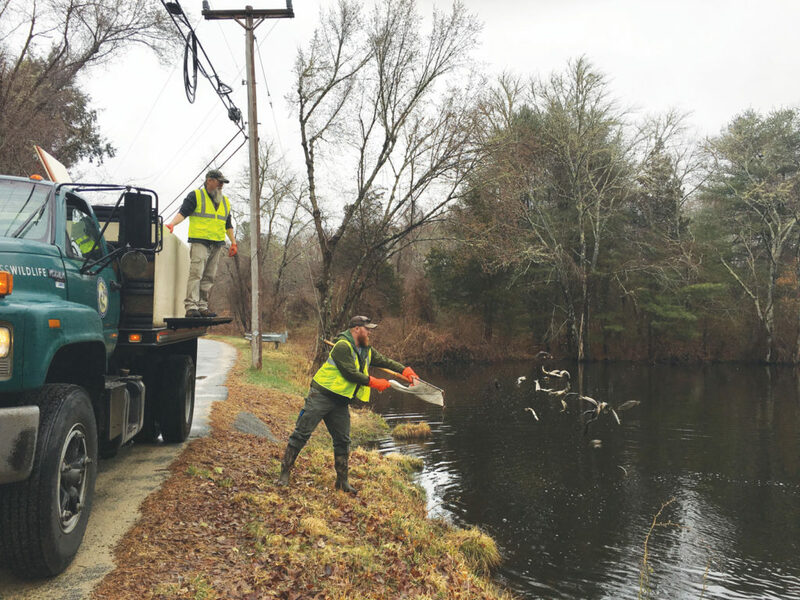 The actions required by the town are extensive– everything from documentation of procedures, cataloguing equipment, conducting investigations and developing best practices to sweeping town-owned streets and parking lots twice a year. Town Administrator Charlie Seelig noted that the town will incur additional expenses due to these mandates. The board was informed by Seelig that MassDOT was no longer taking complaints from school bus companies regarding motorists who passs stopped busses while their red lights are flashing and stop signs displayed, as they previously had. According to First Student, the town’s bus contractor, there was a form used to report license plate numbers collected by bus drivers that they would forward to MassDOT’s RMV division. The department is no longer collecting those forms, said Seelig. The bus company said it had thrown out the forms because they are no longer being accepted. State Senator Michael Brady, of Brockton, who represents Halifax as part of the Second Plymouth and Bristol district, sat down with the board. He was loquacious, speaking at ease about goings-on on Beacon Hill, but didn’t give the board much chance to ask questions or voice their concerns until the very end of their discussion. Selectman Chairman Kim Roy thanked Brady for his help obtaining funds to help offset the costs of treating the Monponsett Ponds, which he said he was able to obtain through an appropriation. “We’re looking for revenue from every source,” he said. The board also expressed frustration with the current model of charter school funding, which they said is unfair to the town. They asked Brady for assistance with charter school tuition reimbursement. 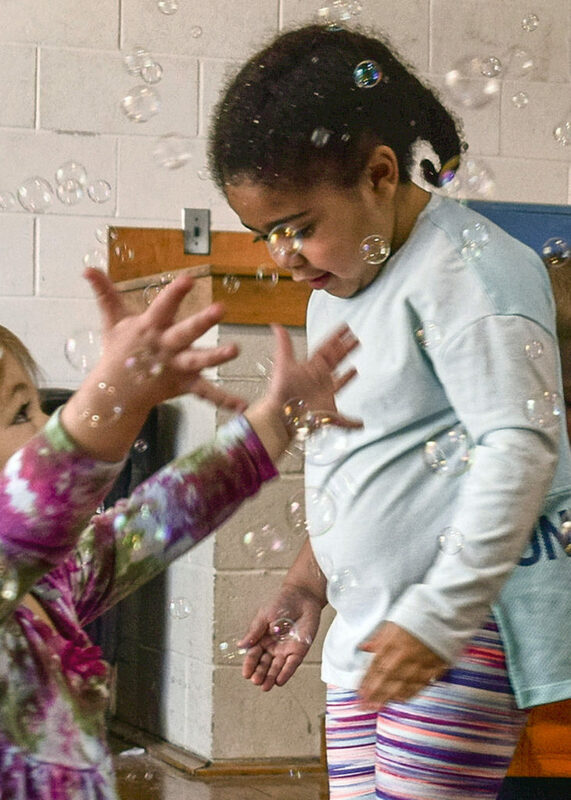 They also described special education as a “budget killer,” and asked Brady for assistance in changing the model for how towns are reimbursed from the state for special education expenses. Seelig mentioned to Brady that the recycling market was changing, which he described as a “big-picture” problem. “The citizens of the commonwealth are mandated to recycle,” he said, but it’s getting more expensive for the town. Brady asked about Halifax’s recycling program, and said he’d look into what could be done to help the situation. • The next scheduled Halifax Board of Selectmen’s meeting is Tuesday, April 9, at 7:30 p.m. in the Selectmen’s Meeting Room of Town Hall. unless otherwise posted.